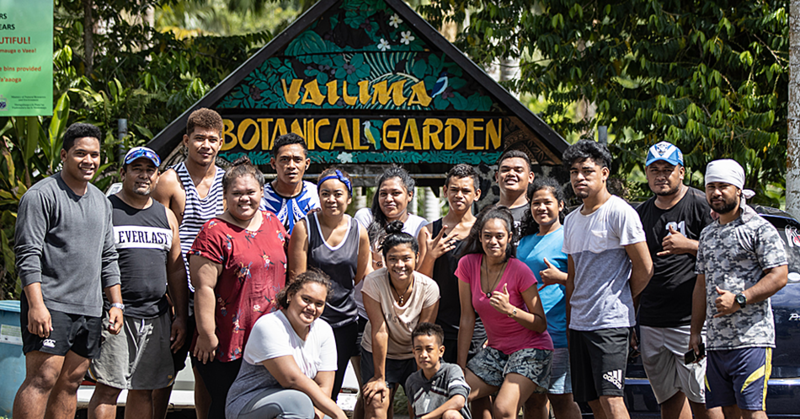 The launch of a Samoa Rugby Union Academy (S.R.U.A.) earlier this month raised a few eyebrows. With the already existing Rugby Academy of Samoa (R.A.S.) it was tempting to think that the launch of S.R.U.A. was a friction-causing statement by the Union that they could do it better. But according to the R.A.S. founder, Mahonri Schwalger, this is not the case. 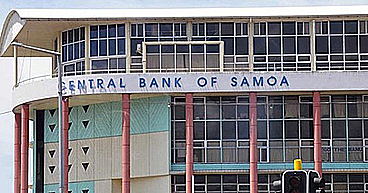 “I could never compete with the Union because they are the main source of rugby here in Samoa,” he said. According to Mahonri, sending the kids overseas is the best option available now. “The best way to do it is to send them to where they can truly develop,” he said. “I believe in time, for many kids when they turn 19 or 20, then they cannot be part of the Under 21’s so it’s better to find somewhere where they will have the opportunity available to them. “The difference between S.R.U.A. and R.A.S. is just the concepts that are used. The main aim for us is just the opportunities for our kids to get better. “What I cover for those who are part of R.A.S. is to provide full scholarships for them. I don’t just offer any public school, but I give them a chance to go to the top schools in New Zealand. Mahonri doesn’t feel threatened at all by the new academy, but rather, he welcomes the idea of having more academies in Samoa. 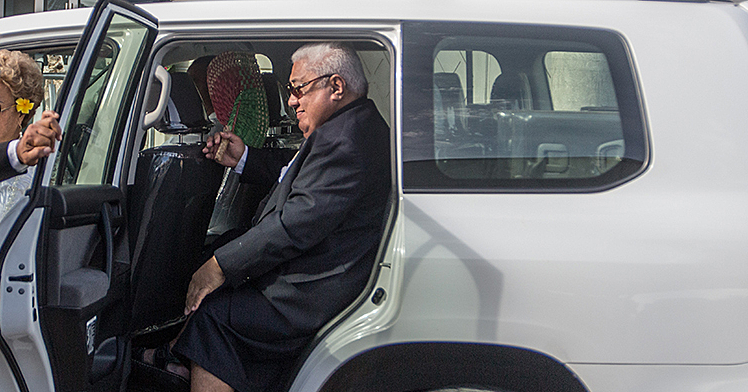 “I reckon it’s good to have many academies in Samoa,” he said. “The main thing we must know about having an academy, is that people should have the right concept in mind. “I have built R.A.S. on loyalty. We have coaches with full time jobs and they commit all their free time here, and for me it’s hard to find guys like that, guys who are willing to give a lot back to the community. “We work a little with the S.R.U. but we would like that relationship to get stronger. At the moment, some of my kids are in the Under 20’s and others in the Samoa A. According to Mahonri, S.R.U. has the capability to run the academy with the resources they have available to them. “I have no understanding where the union stands right now,” he said. “My understanding in the last 15 years is that the H.P.U. is exactly the same as the academy. “They can definitely handle this new programme because they have the resources and the funding from the World Rugby. “They have some good coaches like Alama and all those others involved in professional rugby. They can definitely handle it. “It’s just the concept that they have to make sure they get right. “I know Shalom really well, I played with him in New Zealand. He is a great guy, he has the passion and he is doing very well as the union’s Development Coordinator. “What Shalom said recently is true. Samoa needs more academies. Right now, we have a rugby academy, netball academy, everyone is coming up with new academies. “There is no friction between R.A.S. and S.R.U.A. Like I said before, I want to form a stronger relationship with them and I am not afraid to admit that. Mahonri confirmed that he was approached by the Union to work for them but circumstances prevented him from doing so. “The Union approached me to work with them but I had to say no,” he said. “If they had asked me three years ago then I would have said yes but now that I’m involved with R.A.S. I have to stick with it. “I now have a great team. These guys all have the right passion and I have built everything with them around loyalty. “So my loyalty to the group led me to decide not to step away from them just to join the Union. “But the Academy will still benefit the Union,” he said. According to Mahonri, his academy caters for hard working individuals who were overlooked by the Union. “When we kick-started Academy we didn’t go around picking the best because I know that these kids miss out from the age requirement for certain programmes,” he said. “So for me I go for potential; not the best because a lot of these kids just need the opportunity; they have the right coaches, mindset, people around them and the right environment. “There is a lot of talent here in Samoa and in order for these kids to develop, then we must give them the chance. “I believe that if you have hard working players rather than superstars, then you will have a winning formula in the team. “So having kids playing for the under 20’s and Samoa A, makes me very proud. This is evidence of the work we do here. “We normally develop our guys and then send them back to the clubs. It’s about developing the grassroots level. We coach them then send them back to their clubs or villages where they will be able to help bring up their teams. “We teach so that they can go back and teach others. Mahonri believes that we must come to terms with the quality of players we have available here in Samoa. 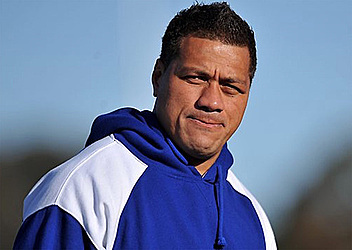 He believes that his Academy’s process of sending players overseas is what’s best for Samoan rugby. “The thing is, the majority of the players selected for our national teams over the last 15 years are usually from overseas,” he said. “I’m not saying that we don’t have any talent here, but we have to face the fact that we don’t have the resources in terms of coaching, and facilities to develop our boys to the top level. “In order for our guys to develop, we have to send them out. No matter where we send them, they will always have that dream to come back and play for the Manu; that is what we’re doing here in R.A.S. But the bottom line is that the two academies will in no way try and compete with one another. According to Mahonri, they have different views but they will benefit Samoan rugby together. “I never built this Academy to compete; I’m not here to say that my academy is better,” he said.